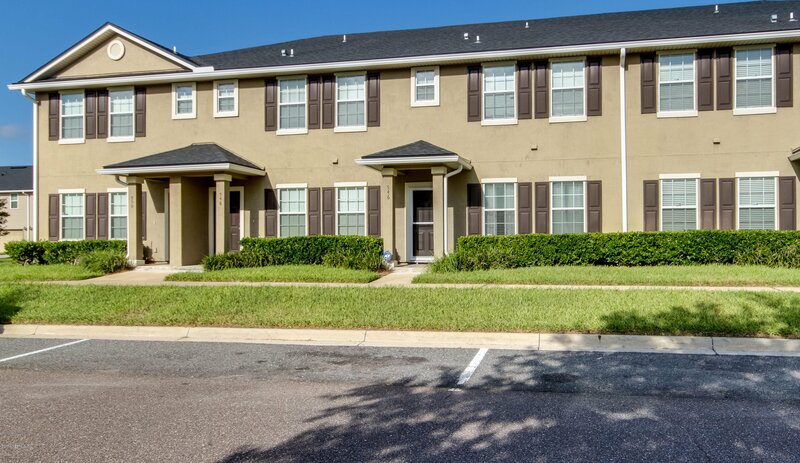 Don't miss your chance to live in one of the larger townhomes in the Plantation Village neighborhood. This updated home features a newly renovated master bedroom with beautiful floors, fresh paint, and plenty of privacy. An ensuite bathroom boasts an updated vanity and the master closet is ready to be customized. Down the hall, find your spacious living room and open concept kitchen, complete with granite countertops, 42' cabinetry, and an island perfect for entertaining. Guests can utilize a half bathroom downstairs. Enter into the 2 car garage with custom shelving before heading upstairs. Two large bedrooms share an updated bathroom as well as an additional loft area, ideal for an office, playroom, or den. Tons of closet space throughout! This is an incredibly clean and walkable neighborhood and don't forget lawn maintenance is included. Listing courtesy of ROOT REALTY LLC. Selling Office: EXIT REAL ESTATE GALLERY.